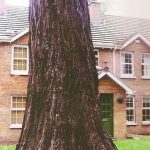 All planning applications submitted to councils that may affect trees, will require a tree survey and report that considers the impact of the proposed development. The report must be carried out in accordance with British Standard 5837: 2012 ‘Trees in Relation to Design, Demolition and Construction – Recommendations’ (along with any forthcoming planning policy or legal amendments). ARBOR CONSULTING offer a complete service to assist development planning from an initial tree constraints survey (Phase 1) that identifies the high value trees on site and how much land would be required to retain them; this is accompanied by a Tree Constraints Plan (TCP). This type of report is usually produced prior to site layout design. A copy of the topographical survey indicating trees and other relevant vegetation will be required prior to the preparation of our fee-proposal. On completion of the architectural design, a more detailed tree survey report (Phase 2) is required that describes which trees will be retained and where protective fencing should be placed. This report includes an Arboricultural Impact Assessment (AIA), a location specific Arboricultural Method Statement (AMS) and a Tree Protection Plan (TPP). Also included are protective fencing specifications and hard service/underground service installation requirements. A copy of the plan drawing indicating trees and other relevant vegetation, along with development proposals will be required prior to the preparation of our fee-proposal. Our tree survey reports are professional, comprehensive, well supported by CAD drawings and are designed to satisfy the council’s requirements in relation to the validation of planning applications. ARBOR CONSULTING can help maximise opportunities for retaining and protecting trees of merit, whilst justifying removal for those that are not. From pre-development assessment to designing mitigation for tree losses, we will make an invaluable contribution to the success of your development proposal. AQB Architects, Banbridge District Council, Michael Burroughs Associates, Castleton Design Services, CQPL, Coogan & Company, Daily O’Neill & Associates, GM Design Associates, Hunter Associates, Hutcheson & Irvine, Inset Architecture, Manor Architects, McCallan Building Design, MKA Planning, Stewart Architects, Mulholland & Doherty, AEC Services, APS Architects, McGinnis Architects, Roan Developments, Sandale Developments, RPS Architects, Bell Architects, Diamond Architecture, McGirr Architects, McCutcheon & Wilkinson, McGurk Architects, Park Hood, Site Express, Scott Wilson, MI Architects, Atkins Group and many more.